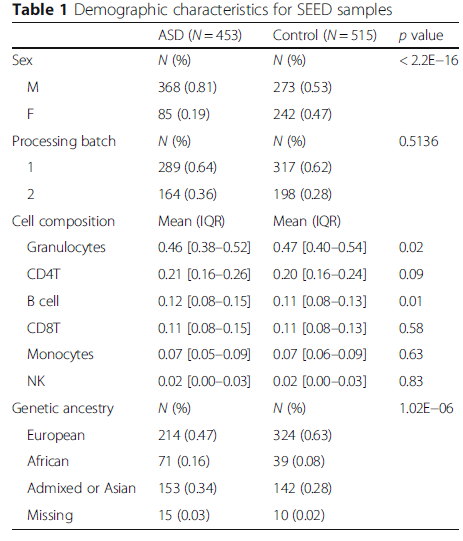 No CpG sites reached a Bonferroni level of significance, and effect sizes were modest (1.12 × 10− 7; Fig. 1a). The genomic inflation factor (λ) was 1.03, with a slight separation from expectation at the tail (Fig. 1b). 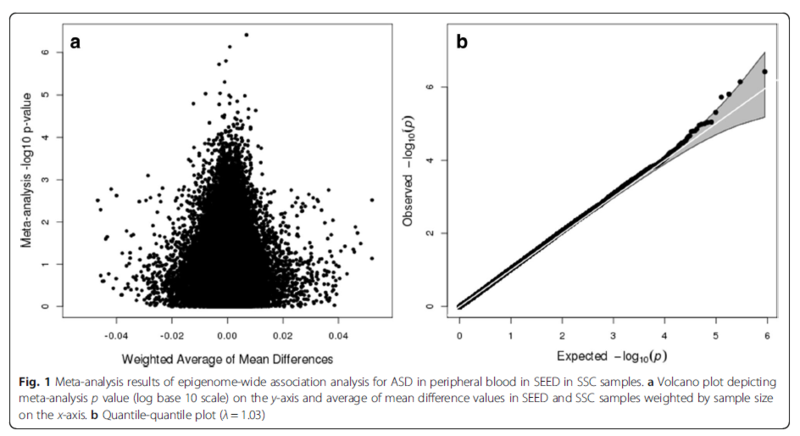 When considering all CpGs associated with ASD at a liberal p< 1 ×10− 3 EWAS threshold, we found meQTL target enrichment at nominal significance (penrichment = 0.041), but not at a significance threshold corrected for the six tests performed overall.